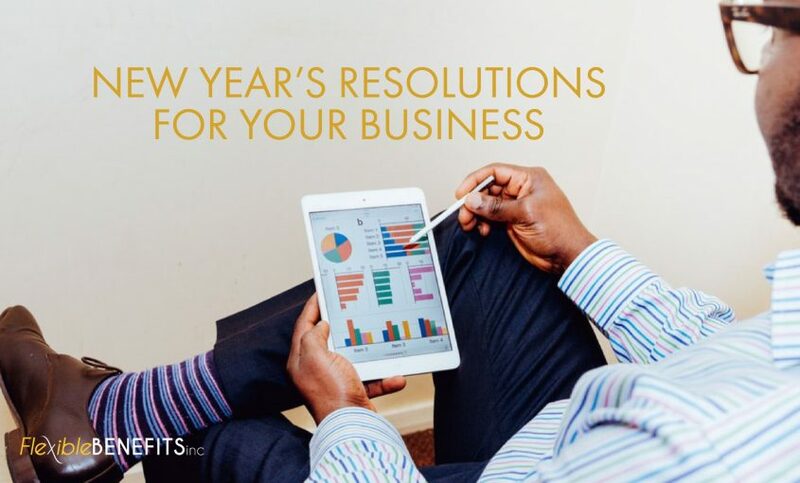 NEW YEAR’S RESOLUTIONS FOR YOUR BUSINESS – Flexible Benefits Inc.
First things first, make this a year of professional growth for your business. We suggest scheduling training sessions or workshops that will increase your employee’s ability to do their work to the highest measure and increase their confidence. Start off the year with a bang with a great first quarter training, then increase your amount of development by allowing your employees to create their own development plans for 2018. One training session per quarter or two trainings per year (one in Q1 and one in Q3) is a great place to start. Hold focus groups or start engaging with customers one on one to get to know what they’d like to see from you in 2018. By getting to know your audience, you can produce products and services that best suit your target market. If you’ve been using a social media platform or a few channels for a while, but just aren’t quite sure what to do with them – make the commitment to assign social media channels to a person on your team or your marketing agency. It’s a great way to accomplish your previous resolution, getting to know your customers as you start a communicate on a daily basis, offer promotions, and perhaps even share funny Friday jokes to encourage happiness into the weekend. As you’re investing in professional development, consider the other side of the coin as well- personal relationships. Getting to know your employees and their families is a great way to reduce turnover as you will make your employees feel more valued and allow their family members to see how valued they are at work. Assigning a small team of your employees to organize this annual event can also highlight talent and skill sets of event planners on your staff roster, making these individuals feel even more important! Is your organization involved in charity work? Selecting one or two charities your employees are passionate about can be an excellent way to build commentary through volunteering and fundraising, but also to align your passions in support of those less fortunate. This is another wonderful way to assign a small committee the task of volunteerism to further highlight skillsets on your team.